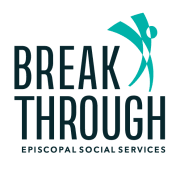 Breakthrough - formally Episcopal Social Services is looking for volunteers to become Representative Payees for our clients who are not able to manage their monthly income without support because of mental illness or other reasons. Volunteers may work one-on-one with consumers on a regular basis to build relationships and to be a positive role model, or only work with bank statements. You don't have to have a financial background, and you’ll have guidance every step of the way. Basic computer and internet skills are required for this opportunity. Hours for these opportunities are Monday through Friday morning shift from 8:30 to 11:30 or an afternoon shift from 12:30 to 3:30. If these times would be difficult, we do have opportunities for Internal Audits that has more flexibility to the hours. This is an ongoing volunteer opportunity and consistency of volunteers is needed to build trusting relationships with clients.